Cincinnati Bengals wide receiver A.J. Green isn't letting his 30th birthday slow him down. 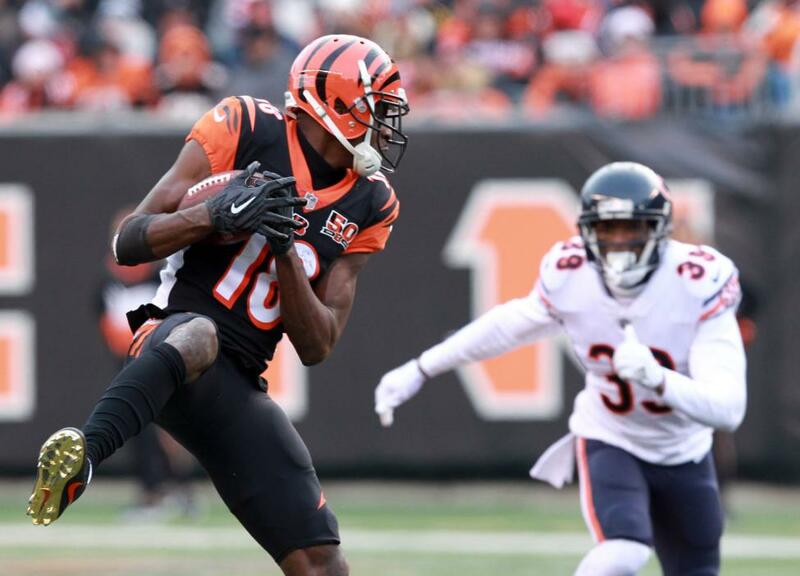 Green, who celebrated the milestone on July 31, is at least five years older than any other wide receiver on the Bengals' roster. Despite being the elder statesman of the group, Green insists he has more in the tank. [post_ads]"I ain't an old man," Green told the Cincinnati Enquirer. "I've always got juice. I've had it for a long time. I'm not going anywhere any time soon. ... I feel good. I'm one of the oldest guys, but I run the most of anybody in practice and I feel great. I put a lot into my body on and off the field that really gets me ready for the next day." "I feel great. These last two years is the best my body's felt in a long time," he said. "I've got six years in me I feel like. A long, long time. I'll be ready." The Bengals parted ways with fellow wide receiver Brandon LaFell, 31, earlier this month. The team has high hopes for John Ross, the Bengals' first-round pick in 2017, as well as Tyler Boyd, Josh Malone, Cody Core, rookie Auden Tate and Alex Erickson.